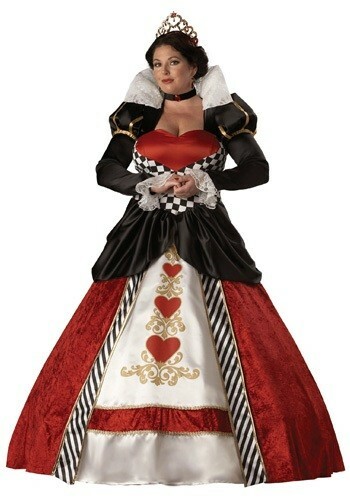 Reign over Wonderland in this Adult Plus Size Queen of Hearts Costume. This ball gown Halloween costume is great for any Alice in Wonderland group or play. It's time to set up the court for a game of croquet! We all know your royal highness will win, but it's still fun to watch. If you're a little rusty, that's okay too. 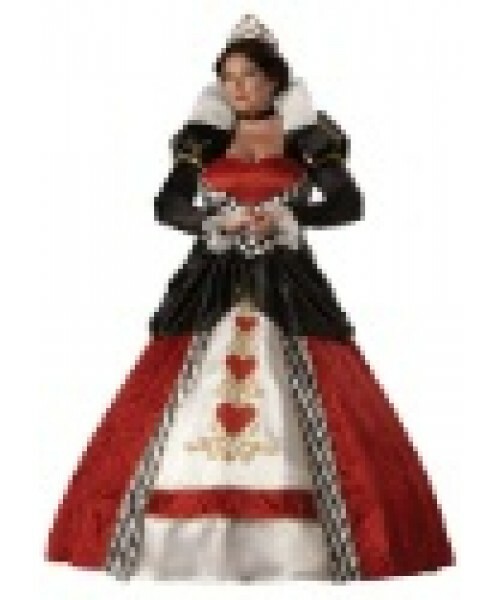 I don't think many people will be able to take their eyes off your beautiful gown. And if they do, then off with their head!